While looking at Jimmy Fallon’s clips from his first week as host of The Tonight Show on YouTube, I was randomly led to watch suggested videos that featured Kevin Hart. I stumbled up on this gem of an interview Kevin and Sway from November 2013. Kevin has quickly become one of my most favorite entertainers. Not because I can look at all of his stand-up DVD’s all day, everyday and still laugh like I’ve never seen them before, but also it is because I respect his hustle and his passion. I knew that he was more than a funny man on stage, when I noticed he produced nearly every comedy special he debuted. 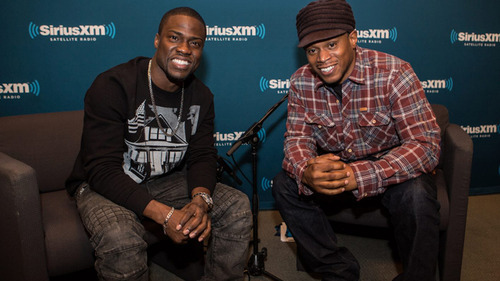 Watching the Sway interview took my respect level for Kevin up several notches. It is a gift to not only make people laugh but to also make them listen. He summarized my whole philosophy of college success in 3 minutes and 5 seconds. So maybe instead of shaking today’s students to reality, I should just play this clip. The Lesson: Be a multi-faceted student. Get out of your comfort zone and embrace as many campus opportunities that you can: act, sing, dance, debate, lead, research. Employers are looking for well-rounded, versitile individuals who are not afraid to try new things. For your first job, your college experience will serve as your job experience. The Lesson: A teacher is not required for learning to take place. It is my daily battle to get college students to understand that. With patience and effort, students can become their own teacher or tutor. Most importantly, everything you need to learn in college will NOT be found in the confines of a course or a degree plan. There are so many things students have to learn for their own personal growth that no one is going to single them out to make them learn. The Lesson: While everyone will have different visions, still surround yourself with people who absolutely want to be successful. Many college students who lose focus and suffer academically often do so because their friends or their roommates do not study or go to class. Students have to be aware of the people they surround themselves with and actively search for friends, classmates, faculty and professional staff who will encourage personal accountability. The Lesson: Simply saying “I’m going to graduate.” is not going to make it happen. So many students are just drifting into college just expecting a diploma to be placed in their hand. Those students who rise to the top and get heavily recruited by companies are those who have a fight, a drive and a desire to compete. Their desire to succeed over rides any fear or intimidation associated with getting help. Top students are not afraid to raise their hand in class, meet with the professor, get tutored or do anything to get their questions answered. “I’m a sponge. I don’t care who you are. I feel like everybody has a piece of information I can use. There are times to listen and times to ask questions. The Lesson: The wisest students realize how much they do not know and take action to increase their knowledge in all areas. However, students need a level of maturity to realize that “I don’t know everything and that I should listen to those who have a little more insight on this college thing.” Those students who seek advice AND listen can sprint to the graduation finish line with less scars, bumps and bruises because they were able to avoid mistakes others have experienced.